If you’ve been invited for interview, well done! In this particularly challenging jobs market, that’s no mean feat. Your CV or application form has served its purpose and impressed the employer so much that they want to meet you in person. Everything you do from here on in will have a direct impact on whether or not you get the job or go any further in the recruitment process. It’s pretty important therefore that you do all you can to impress and convince the employer that you are the right candidate for this job. That needn’t necessarily be too daunting a task – provided of course that you get some of the basics right. We’ve put together a few ideas to help you do just that – here are 5 Ways to Impress an Interviewer. It’s said that many interviewers make their minds up about a candidate within seconds of that candidate entering the interview room. The interview may proceed for an hour or more, but if a bad first impression is conveyed to the interviewer, many candidates can never recover from that. 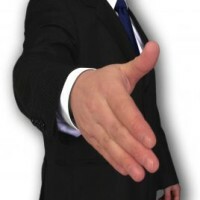 So how can you ensure that their first meeting with you impresses? Well, it’s all down to basic things – manners, body language and the like. If you enter the interview room confidently, smile and shake the interviewer’s hand firmly and wait until you are asked to sit down before you do so, you are doing well. 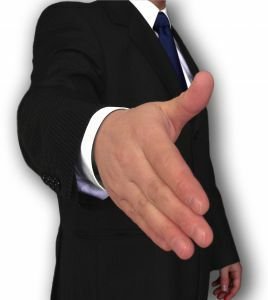 Make sure that the initial impression which they get of you is of a confident, likeable and competent candidate. During your preparation for the interview, you really ought to spend some time researching the company and finding out all you can about them and the role you have applied for. An interviewer will not expect you to have encyclopedic knowledge about their organisation, however they will expect you to have some knowledge. There are all sorts of places that you can acquire this knowledge – from the company website through to news articles. By conveying to the interviewer that you have done your research and that you have spent time learning about their organisation and the role itself, you will be making positive steps towards impressing them. Most interviewers will ask candidates at least a couple of competency style questions. These questions require candidates to describe examples of occasions when they used certain skills or examples of how they reacted to certain situations. It’s really important therefore to prepare in advance some good examples that you can use during your interview. It’s also helpful to look at the job advertisement or description and identify what key skills and competencies the employer is looking for. By doing that, you can think of specific examples to illustrate how you have those particular skills and traits. It is often your answers to these questions which can distinguish you from other candidates and in turn impress the interviewer. Unless you are one of those people who is extremely confident at all times, it’s pretty likely that you will experience a few nerves either before or during the interview. The problem of course with nerves is that they can in turn have an impact on our behaviour. Anxiety and nerves can cause many candidates to rush through their answers or worse still fail to listen to the question fully. Always listen carefully to the question, if you need it to be repeated simply ask. A candidate who conveys their ability to both listen and understand what is being asked of them is much more likely to impress an interviewer than one who hasn’t taken the time to listen properly and rambles on with an irrelevant or perhaps incoherent response. In virtually every interview you will be asked if you have any questions for the interviewer. If you answer, albeit politely that you don’t, you are impressing nobody. An interviewer will want to see evidence that you are really genuinely interested in this role and in them as an organisation. One of the main ways of doing this is by asking questions which prove this. Ask about training opportunities, promotion prospects or questions about the industry sector they are in and issues and challenges they may be facing. 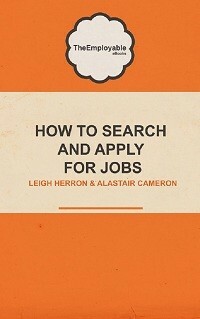 We’ve previously suggested a few questions that you can ask the interviewer which may help. We hope these tips help you when you’re next in an interview. Got any other ways to impress an interviewer that you’d like to share? Why not let us know via the comments section below.